Go to term with a full 40 weeks of pregnancy. But don’t give up with the finish line in sight. Your last few weeks of your pregnancy are very important to your baby. Did you know that babies who are born even a few weeks early could have minor to major problems, including difficulty staying warm, struggles to maintain stable blood sugars, and feeding and breathing problems? Your baby is busy preparing for life outside of your womb those last few weeks. She will gain weight more rapidly in these final weeks, ensuring that she has enough fat to help her keep a normal body temperature. Her lungs, liver and brain also have some important development to complete. Even though you may be told that your baby is a “good size” this is no indication of whether her lungs are mature. Your baby’s liver is maturing: If she’s born too early, when her liver is immature, she’s more prone to developing newborn jaundice – a yellowing of the skin that shows her liver can’t rid her body of a substance called bilirubin. If your baby has jaundice, she may have to stay in the hospital under special lights, and in severe cases, her brain could be affected. Being born too early even affects breastfeeding for some babies. The brain development that a baby needs to be able to coordinate sucking and swallowing isn’t developed until the last few weeks of the pregnancy. 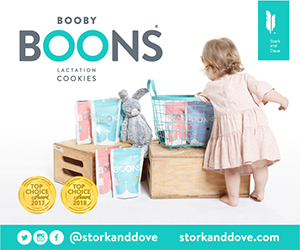 This could set off a difficult chain reaction: If your baby’s sucking and swallowing isn’t effective enough, your breasts may not be stimulated sufficiently and subsequently you may have problems with adequate milk supply. Your baby may need to be supplemented with formula to get adequate food, which will disrupt the natural breastfeeding process. It’s recommended that mothers not be induced for non-medical reasons prior to 39 weeks of pregnancy. Sometimes medical conditions can occur that require a mom to have her labor induced prior to this time, such as preeclampsia, placental problems or uncontrolled blood sugar. For these medical reasons, an induction is an important intervention that may be necessary for both your health and your baby’s health. But inductions done because you’re tired of being pregnant or because you want to deliver when your provider is on call have questionable benefit. Remember that an induction of labor is not without risk and could result in a cesarean surgery if unsuccessful. Your healthcare provider will carefully weigh the risks and benefits for both you and your baby before a decision is made to induce early. If you’ve almost made it to 40 weeks, you’ve come a long way and you’ve got a lot to be proud of – soon you’ll hold your marvelous baby in your arms! In a way, the final weeks of pregnancy are like approaching the end of a marathon. Most moms will go into labor naturally between 39 and 41 weeks of pregnancy; remember that you have already come a long way so what are a few more days or weeks in order to give your baby the best start possible! 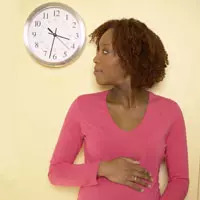 Perform daily fetal movement counting (counting your baby’s movements at certain times daily to monitor for changes). Take non-stress tests (being placed on the fetal monitor to watch for accelerations of the fetal heart rate – usually takes 20-40 minutes and can be done in the provider’s office or in the hospital). Undergo a biophysical profile (an ultrasound that is a “physical exam” exam of your baby that looks at the baby’s breathing, movements, tone, heart rate, amniotic fluid amount, and body movements).